¡Somos Un Pueblo, Sin Fronteras! 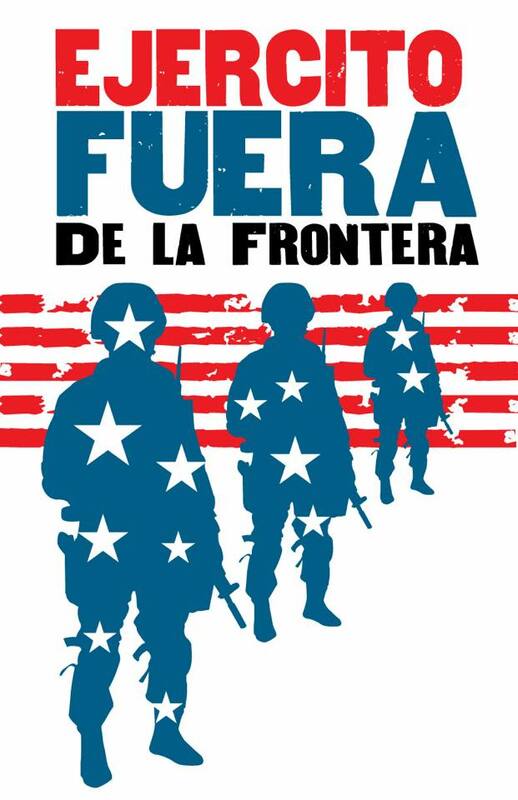 By deploying its military to the southern border to support the anti-Mexican police force known as the US Border Patrol and its criminal counterpart Immigration and Customs Enforcement (ICE), the Trump administration has exposed the true nature of US imperialist crisis. But while we denounce the reactionary buffoonery of Trump, we also understand that his policy of border militarization is a reflection of a political consensus that exists between both political parties of imperialist power – republicans and democrats. We must never forget that US military interventions in Guatemala (1954), El Salvador (1980-1992), and Honduras (2009) murdered hundreds of thousands of our peoples, devastated generations of working class raza from those countries, and tore apart the capacity of these countries to govern in their own interests, provide for their own people, and self-determine their own future. Everywhere US imperialism goes in the world, it leaves destruction, chaos and death in its wake. As if destabilizing governments was not enough, U.S. capitalist trade agreements in the form of the North American and Central American Free Trade policies impose the most exploitative labor markets across the continent, generating grotesque levels of social inequality throughout Nuestra América. These agreements require cut back in social welfare, cut backs in education, cut backs in healthcare, and the sell-out ruling class across Latin America scrambles to buy second homes in Miami and invest their profit back into the U.S. Let there be no mistake, the direct beneficiary of massive poverty, inequality, and insecurity across Nuestra América is US capitalist-consumer society. The persecution, criminalization, and mass incarceration of our migrant, immigrant and refugee brothers and sisters, is a manufactured policy of containment of people and population with one central interest, turning a profit for private corporations engaged in the creation of systems and institutions that terrorize these sectors of our community. This parasitic capitalist system is what is driving the mass exodus and we condemn the crimes being perpetrated against our people including: the separation of families, the growing concentration camps on military bases, the for-profit detention centers, the security surveillance state, the parasitic phone utility corporations and all the laws and entities that humiliate and degrade our condition as human beings. Since the founding of Unión del Barrio, we have recognized that the political border that was established in 1848 by the colonizer settler government of the United States is an illegitimate political border that has stripped native people of our historical and rightful claim to our lands and our resources. Hundreds of colonial laws have been crafted by the white nationalist U.S. Congress and used against native nations and people to justify the theft of our territory. All immigrations laws are at their most basic level colonial/ imperialist laws used to contain and control native people who have inhabited this continent for millennia, and we therefore reject the colonial borders that relegate us the status of foreigners on our own land. Unión del Barrio commits to organizing our people in our self-defense and to build people’s power form the ground up, in order to end this criminal and genocidal assault on our peoples right to move across capricious borders that are only designed to defend the interests and wealth of the ruling class. We also state that we support our people’s right to build revolutionary organizations that can rise against corrupt thuggish murderous governments throughout Nuestra América, and support a united and socialist Nuestra América. 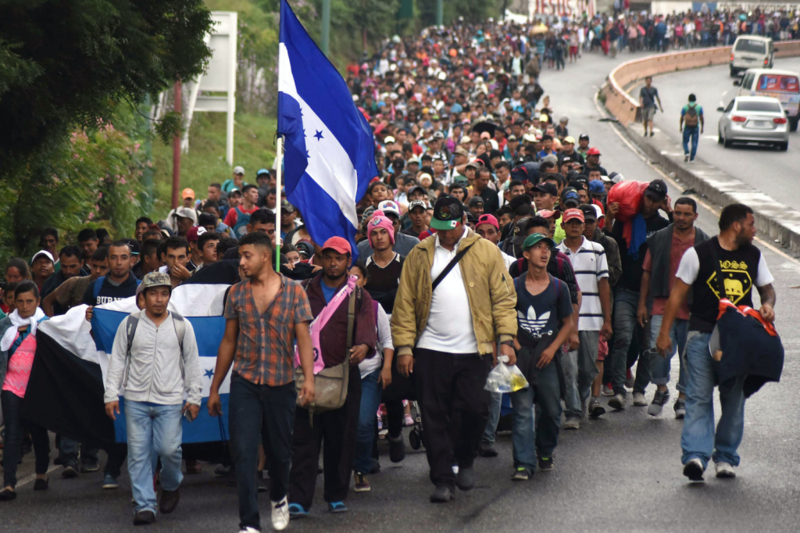 We not only condemn the deployment of troops on the southern border with Mexico, but all US interventions in Mexico, Central and South America. US out of South America! US out of Central America! US out of Mexico! This entry was posted in 2018, Analysis, Analysis, Border Related News & Events, Neoliberalism, Nuestra América, Organizational Updates, Self-Determination, Statement. Bookmark the permalink. ← PABLO ACEVES ¡PRESENTE – AHORA Y SIEMPRE!